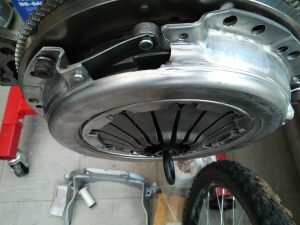 I had always wanted to fit a bigger clutch, just to be on the safe side. 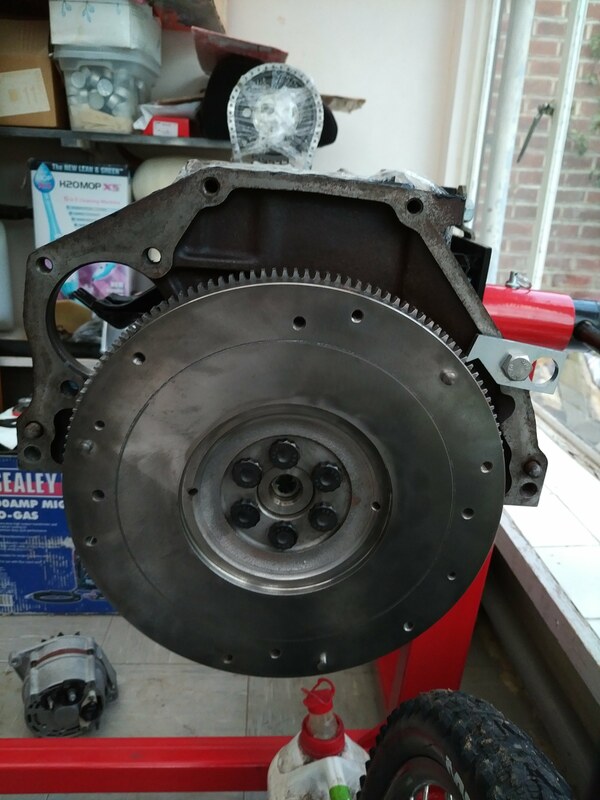 So when i had the chance to get an S10 clutch from Opel GT Source in the US, i took the chance a bought one (I was lucky enough to have someone bring it over from the US as the postage would have been more than the clutch!) 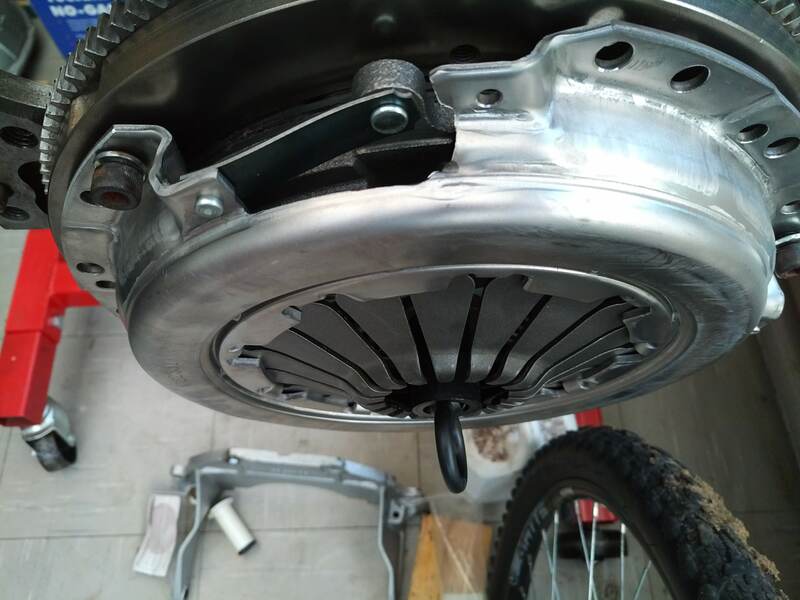 and thought one day i will fit it to the car. 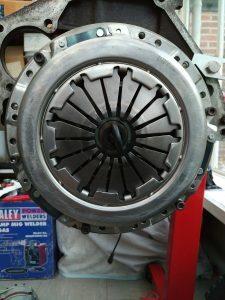 But as i had to have the engine out to sort out the piston i thought now was the perfect time. 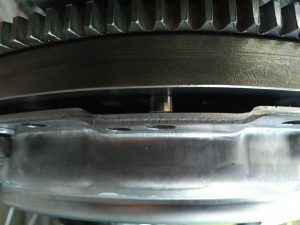 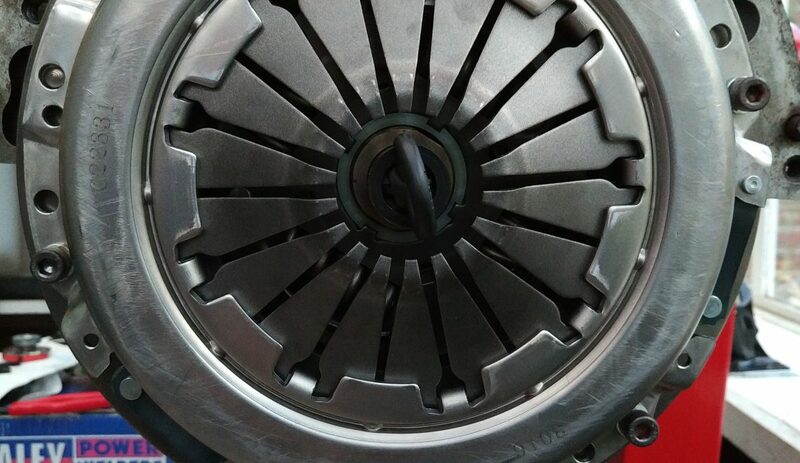 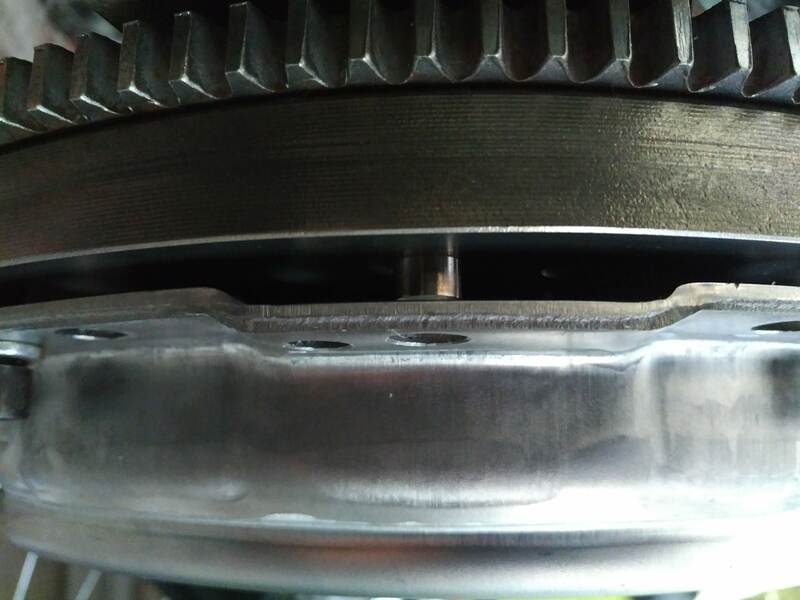 Using the Monza flywheel that has been machined flat and drilled and dowelled to take the S10 clutch. Its a straight fit on and all i need to do now is just double check the clearance when the gearbox is fitted!